MAIDAN SHAHR, Afghanistan (AP) — Afghanistan intelligence on Monday announced the arrest of an Afghan who translated for the U.S. Special Forces and was linked to the mysterious deaths of at least nine civilians in an affair that has further strained relations between the U.S. and President Hamid Karzai. The Afghan National Directorate for Security said Zakaria Kandahari was picked up "recently" in the southern city of Kandahar for "various crimes." It did not elaborate, but the Defense Ministry has said Kandahari was wanted on charges of murder and torture in connection with the men who disappeared last year. Their remains were discovered over the course of four weeks in May and June, buried in a rock-strewn field within walking distance of a special operations forces base. What happened to the men is a mystery that has touched off violent protests and could complicate plans to leave special forces in Afghanistan after combat troops complete their withdrawal next year. Villagers in Narkh district, in Wardak province south of Kabul, alleged that dozens of Afghans were rounded up and arrested by U.S. special operations forces late last year. They say nine people were then beaten, tortured and killed. They blamed in particular the translator they know as Zakaria Kandahari, who they claim was either a member of U.S. special operations forces or worked for them, and they further allege that Americans were present at the beatings. The Afghan intelligence agency said Kandahari "worked as a translator for the American Special Forces Unit." It said that when he was arrested, he was carrying three pistols, two fake Afghan national identification cards and seven other false IDs. The agency said he is from Kandahar, and identified his father as Abdul Hakim. U.S. officials said he was not an American citizen. When the disappearances came to light, spokesmen for the U.S.-led coalition in Afghanistan acknowledged that Kandahari once worked for U.S. forces, but said he was not in their employ at the time of the disappearances. They have said that when the allegations surfaced, a senior officer was sent to investigate and that no evidence of misconduct has turned up in connection with the detainees or deaths in Narkh district. 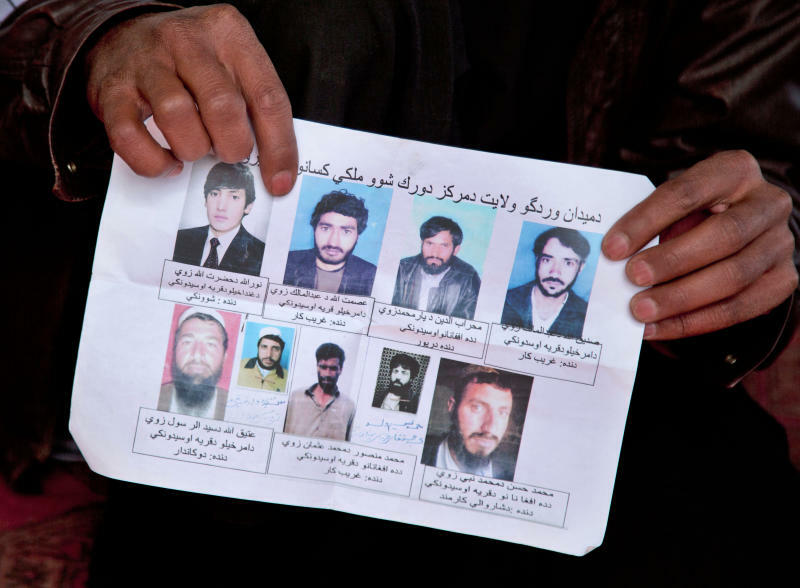 "We have publicly acknowledged arresting nine total people, five of whom were released relatively quickly, but I do not know if these nine were part of the group of bodies that have been found," ISAF spokesman Col. Thomas Collins said in a recent email exchange with the AP. The disappearances started in December, and in February President Karzai ordered U.S. Special Forces out of Wardak Province. But Gen. Joseph Dunford, the top U.S. Commander in Afghanistan, said such a move would threaten the security of Kabul, 45 kilometers (less than 30 miles) away. So the withdrawal in March was limited to Narkh district. More than one month after the pullback, relatives spotted bones and recovered two bodies in the field in Narkh, about 15 kilometers (10 miles) from Maidan Shahr, the capital of Wardak province. They went on poking the ground with simple tools, often under cover of night, and the last of the nine corpses was found in early June. A June 4 protest turned violent as hundreds of Afghans carrying the bodies of three of the missing men demanded the arrest of American soldiers. Abdul Razaq Quraishi, the deputy provincial police chief, said he believed Kandahari was a member of the special operations forces. The AP interviewed relatives of the nine dead Afghans independently on two visits to Wardak province, and all said they last saw the men in the custody of U.S. special operations forces and in the presence of Kandahari. Some said they, too, were arrested but released. The interviews were conducted before Kandahari's arrest. Khalilullah Ibrahimkhiel said he identified his nephew, Nawab, by the embroidery on the long tunic he wore when he disappeared late last year. His body was badly mutilated, with fingers and teeth missing. "It looked like they used acid or something on his face," the uncle said. Shirin Dil Toorakay, a commander with the U.S.-financed Afghan Local Police in Narkh district interviewed by phone, said he was himself beaten by a special operations forces commander and threatened by Kandahari. 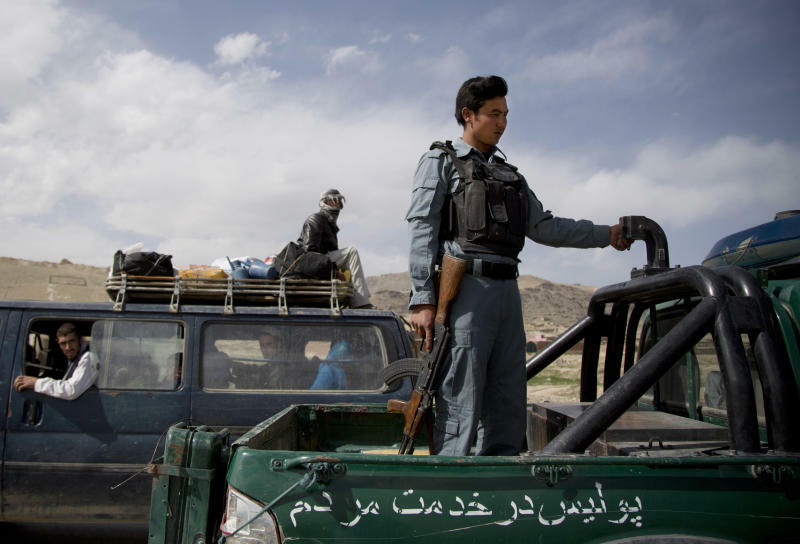 He said his troubles began about six months ago when he went looking for his nephew, a taxi driver named Mir Afghan, who had been picked up in a raid by special operations forces. The nephew's body was among the nine recently discovered. Toorakay said his search took him to the U.S. compound in Narkh, where Kandahari accused him of being a traitor and providing logistical support to the Taliban. "I denied that," said Toorakay, who claims he was severely wounded twice while fighting the Taliban. "I have seen 12 of my friends in the local police killed...How could he say those things to me?" According to Toorakay, Kandahari called in an American, "a big man with a beard," who sat him in a chair, punched him three times in the head and then held a pistol to his head, warning him to tell no one of his beating. 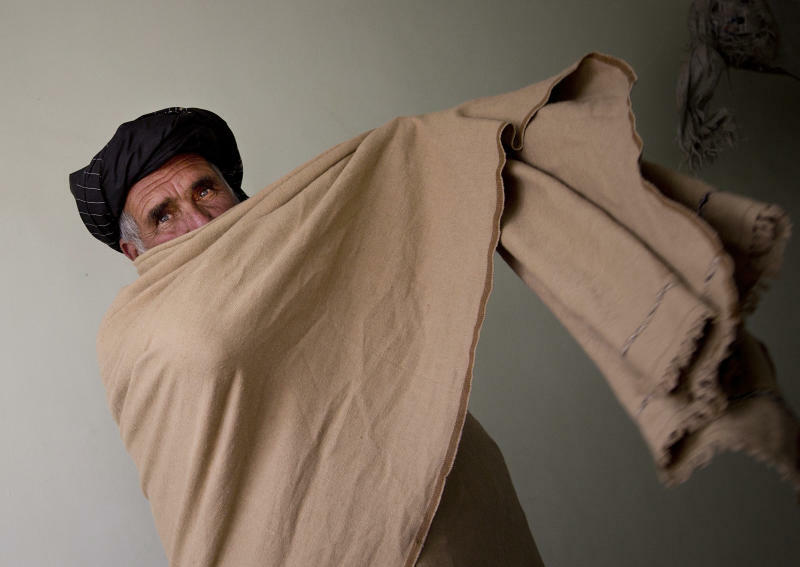 Another villager, Mohammad Ishaq, said he was the last to see his nephew, Hasan, when they were both picked up by special operations forces as they left their home in Deh Afghanan. Ishaq said he heard Kandahari say "take him (Hasan) because he has a big beard," and he insisted on accompanying his nephew. He said he was released that day, but Hasan was kept. Hasan's body was among the nine. In a separate incident, Habib Noor, an elderly storekeeper, said he, too, was among the dozens arrested, including other storekeepers and a doctor. Noor said special operations forces personnel scanned his fingerprints and eyes, and then Zakaria Kandahari took him away and beat him. He blames the U.S. special forces. "Who is Zakaria? He is nothing. Who is protecting him? It is the Americans," Noor said angrily. Abdul Hakim Tangi, a member of the provincial council of Maidan Shahr, also accused Washington of making Kandahari the scapegoat. "They are trying now to blame the Afghans," he said. "He was with the U.S., and now they are protecting him." AP writers Robert Burns in Washington and Amir Shah and Rahim Faiez in Kabul contributed to this report.